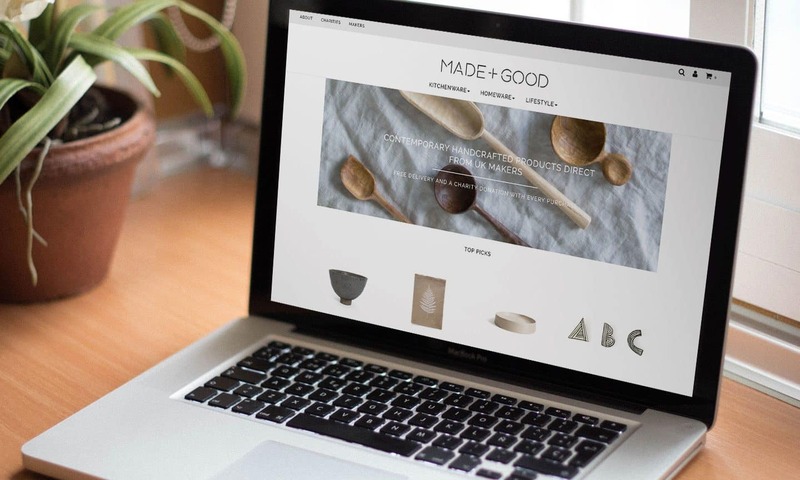 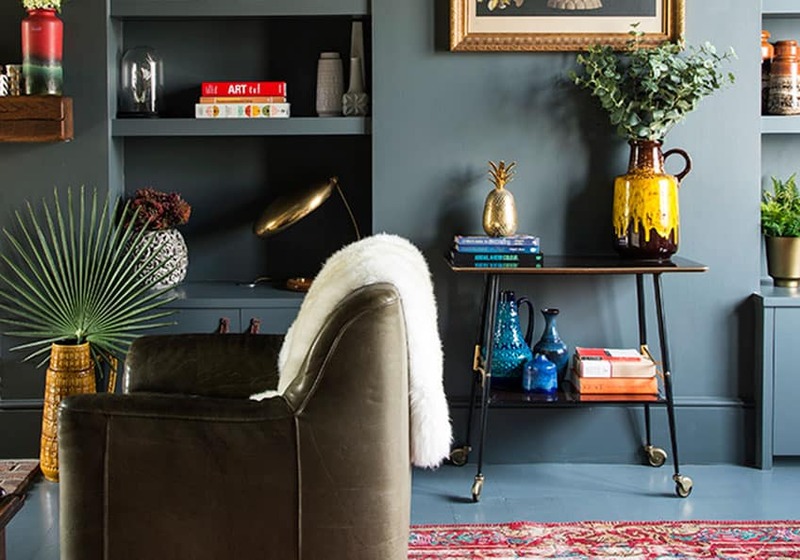 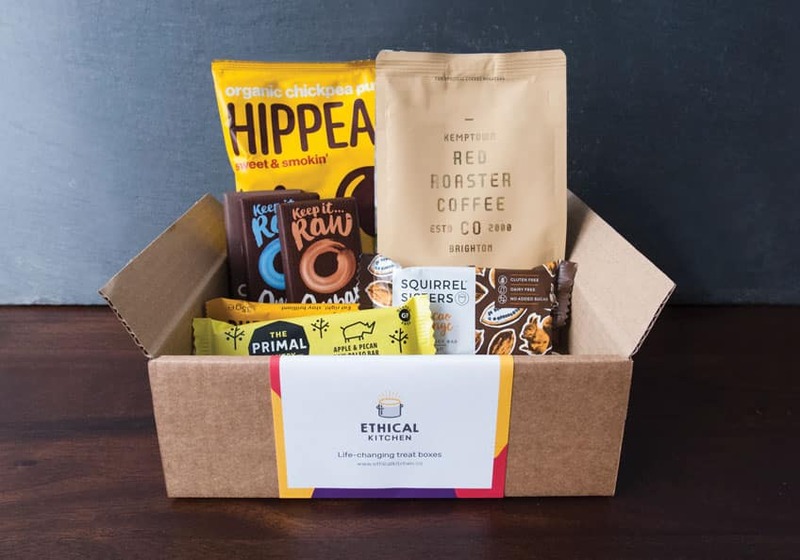 Made+Good is a Shopify marketplace online store, with multiple sellers able to upload and manage their own profile pages, products and fulfilment of sales. 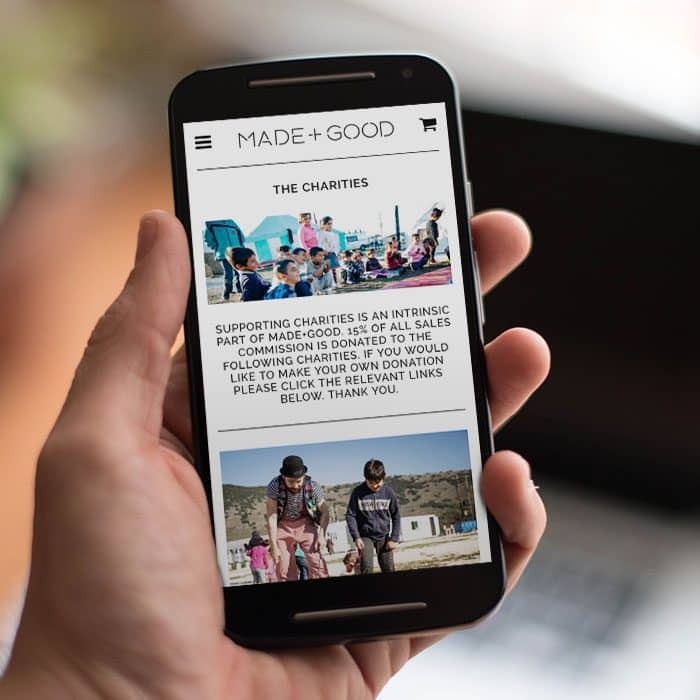 The Shopify marketplace app calculates Made+Good’s commission % from each sale and as Made+Good donate 15% of profit to good causes, the app also calculates the amount of money that needs to donated to each cause, automatically. 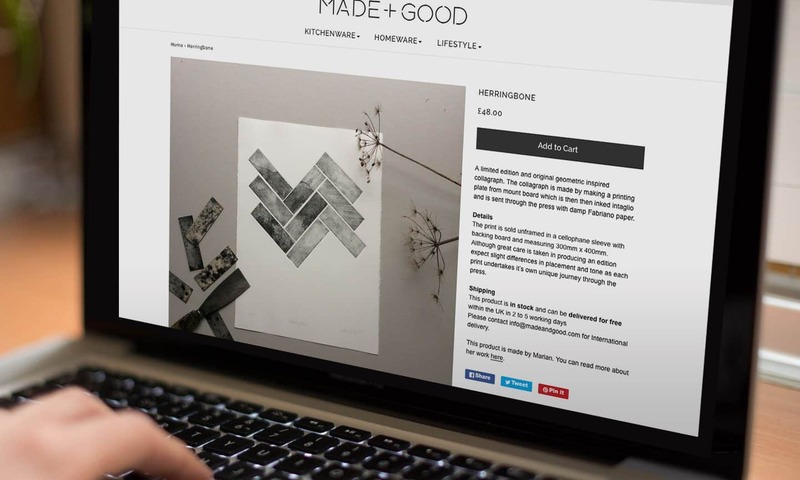 Made+Good are able to approve product details and imagery before a product goes live on the site to ensure that the quality of the photography on the marketplace is consistent and of a high standard. 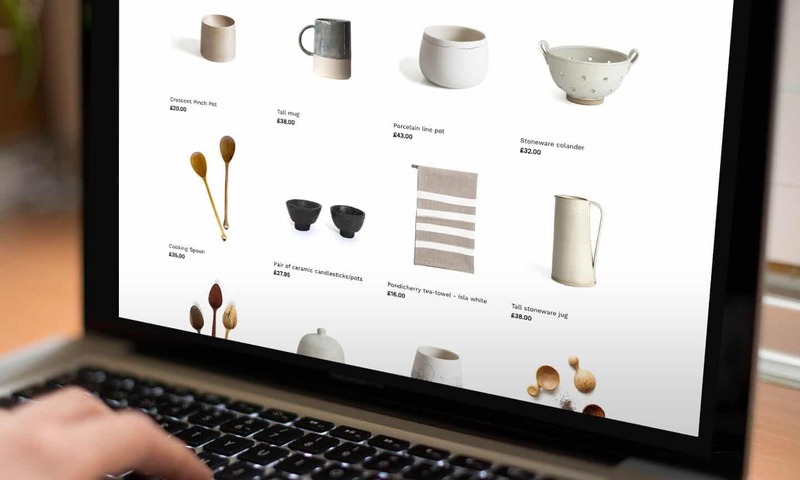 Products from makers are all pulled from the app directly into Shopify as native products, so Made+Good can add them to collections as with any other product. 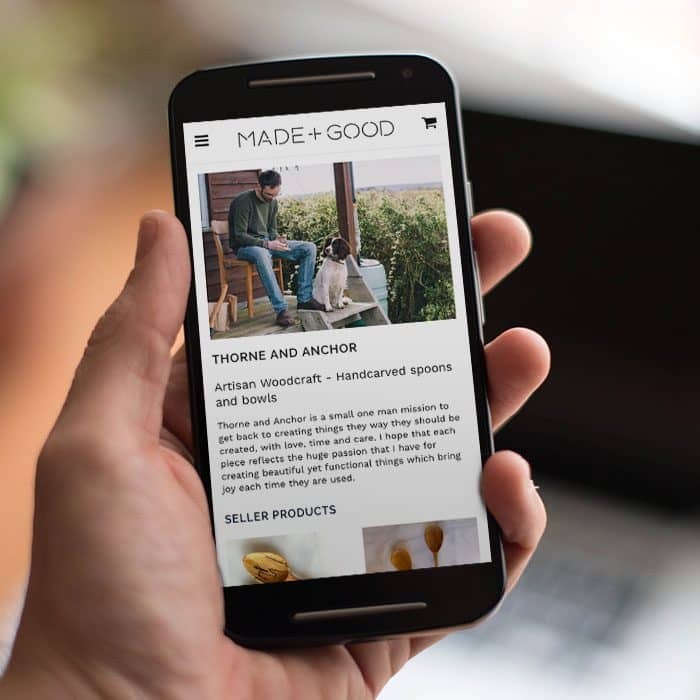 The website is full optimised for mobile devices, making shopping on-the-go simple. 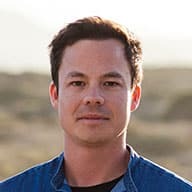 Each maker has their own profile page with a profile photo, biography and all their product listings.